MDPR Insider: The Secret's Out! If you follow us on Instagram, then you probably noticed a couple eye-catching videos we posted last week. You may have taken note of them because they weren't your typical Insta vids. They were almost like slideshows; a series of images and/or graphics strung together, some containing music and text. Upon first glance, it may have been apparent that these were not videos created solely using Instagram. If this was your assumption, then you were correct. Due to a large volume of inquiries (texts, comments, calls) about the videos, we have decided to share our short-lived secret. We cannot take credit for the platform that allowed us to create these fun videos, but we will happily admit to having discovered it ahead of the curve. Oh, the perks of constantly being 'plugged in'...! Without further ado, I bring to you the iPhone application to which you will soon be addicted...FLIPAGRAM. Rather than try to explain the features of this app to you, I am going to suggest you download it and begin exploring. That's how I recommend learning all of its capabilities. And in case you need a little bit of beginner's guidance, this four-step graphic might be helpful. -Select photos from your camera roll or Instagram pictures. -Arrange them in the order you prefer. -Add a title, music and adjust the length of time you'd like each photo to appear. -Save and share your completed video. -If you would like the whole video to appear in Instagram's 15 second time frame, you should select 'Auto Time For Instagram.' This ensures that all images will appear in the allotted 15 seconds. -The video appears in a square frame, so you might want to crop or re-size your photos accordingly. -To access your images directly from Instagram, you must sign in by clicking the sign in button at the bottom of the home screen. As you saw, some of our videos contained graphics. We created those in a separate application and uploaded them as photos from our camera roll. Now it's time to impress everyone with your fancy new social media videos! Good luck & get crafty! 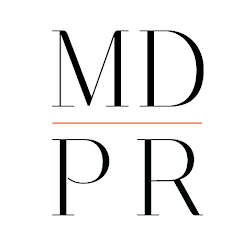 We want to see your videos, so be sure to tag us at @monikadixonpr. We'll choose one that knocks our socks heels off and feature it next week! And as always, if you have any social media questions, tweet them to Emily (me!) at @emilycleary10.